A Leicester MP wants the government to scrap prescription charges for university students. 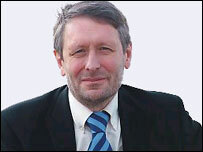 Leicester South MP Sir Peter Soulsby said some students were skimping on vital medication because of the cost. Several categories of patients are already exempt from £6.65-a-time prescription charges - including pregnant women and anyone aged over 60. The Department of Health said there were no plans to exempt students from any charges at present. Jade Chester, a second-year English student at the University of Leicester, who has long-standing kidney problems, said fees were too high. She said many students simply avoided going to the doctor because of the cost and this could have serious implications in the long run. A survey for the National Union of Students showed that one in seven students chooses not to seek medical assistance because of the cost of prescriptions. The University of Leicester's Student Welfare Department confirmed that more and more students were reporting problems paying for medication. Spokeswoman Claire Taylor said: "It is an awful shame that some students are making decisions [on what prescriptions to buy] on financial grounds." The National Union of Students said many students who did pay for prescriptions were forced to cut back on other essential items as a consequence. Aaron Porter, Vice-President of Leicester's Students' Union, said that could mean cutting back on food for a week or not buying a text book. Benedict Pringle, University of Nottingham Students' Union spokesman, said students were the only low-income group still paying for prescriptions. Stephen Dorrell, MP for Charnwood and former Health Secretary, said: "The system needs fundamental review so that people who can afford to make a contribution do so and those who can't afford to pay don't." Sir Peter has already tabled an early day motion calling for the exemption for full-time students. "Eight out of 10 students over 19 have to pay full prescriptions in England - that is totally unfair," he said. The NHS currently spends about £8bn a year on prescription drugs. The government said students could make claims under the low-income scheme, so some help was available.